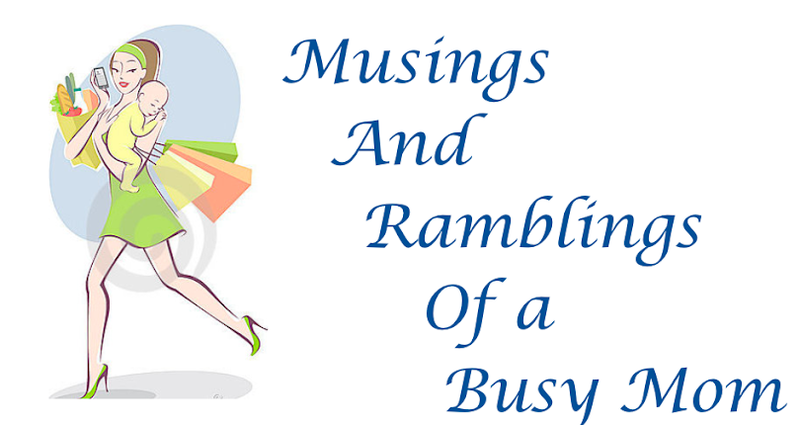 Musings and Ramblings of a Busy Mom: A mommy's mommy. I am so blessed! I have been felling so sick and down right icky for the past few days and as all you mommy's know, motherhood doesn't come with sick time! My wonderful hubby has been helping me all weekend with our little bundle of energy and he was DIEING for some guy time, so I lied and told him I was fine. Well, ten minutes after his friends arrived I was feeling...not so wonderful. Well I did what any mature, grown woman would do...I called my mommy! I am so completely blessed to have such an amazing woman in my life. She was working when I called her, and she dropped everything and drove half an hour from her house to mine and spent the day with me and Isabella! I told her I was getting stir crazy being stuck in the house all weekend, so she took the two of us to the mall. We spent the next couple of hours walking the mall and talk, and of course eating. Then we went back to my house and I was beat! So of course because she's the world's best mom, she tucked me into bed and watched Isabella, until Charles got back. Because of my mom's selflessness and my hubby picking up my slack, I was able to take an amazing four hour nap, and wake up feeling revived...mostly. I am so grateful, for my mom and I truly understand what a blessing it is to have someone like her as my example of what a mother should be. I work every day to be the best mom I can be, and I use her as an example. Thanks mommy, you really saved the day!